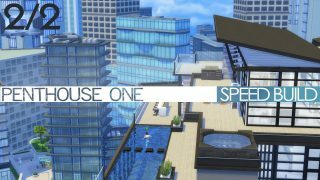 The Sims™ 4 City Living* has introduced Apartments and Penthouses, and that means a whole new way of building! We've already seen so many amazing builds coming out from creators, and we wanted to put together a few of them to hopefully give you some inspiration. 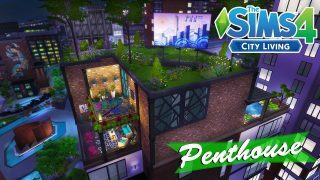 If you like your Sim to live in super bright & colorful surroundings, this is the penthouse for you! It’s got a great outdoor pool area and a huge kitchen. We love that it includes items from lots of different packs so that you get a great variety of styles. The grassy rooftop is a really nice touch too, and makes the whole lot really green and pretty. Is modern living something that your Sim is hoping for in San Myshuno? 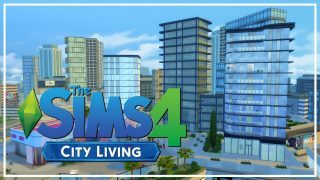 DutchSims4Master has you totally covered with this luxury penthouse that is super calm and modern all the way throughout. There’s some really creative uses of objects and decorations in this one, and the use of space gives a ton of great areas for hobbies and skill levelling. Perfect for the modern Sim that wants to achieve it all! 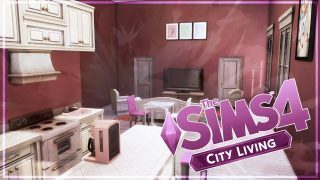 Giving your Sims' new apartment a make-over is so much fun, and Steph0sims has done a great job with this one. There’s a real feel for apartment living with the smaller darker rooms, but she’s decorated so well with so much color to contrast, that everything really pops and the whole apartment feels vibrant and happy. We love it! This is a really great starter apartment for any Sim that’s just moved to San Myshuno and is looking for their first place to live. It might not offer the sleek modern comforts of a lofty penthouse, but it’s definitely a step above a grungy starter apartment. There’s lots of color and enough furnishing to make a Sim feel comfortable, without over-stretching their Simoleons. SO. MUCH. COLOR. Oh boy, oh wow. 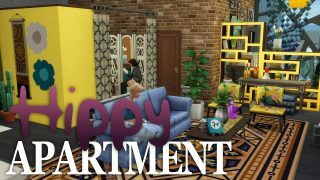 This is one super colorful apartment, with a really great use of the space to make sure that your Sim has everything they need without feeling cramped. There’s a really nice traditional family home feel to it, with a modern twist in the decorating and furnishing. Perfect for any Sim family! Time for another penthouse! This lot has a really great mix of different styles, with windows pretty much the whole way around to really be able to soak in those San Myshuno views. There’s also a really great patio area outside with some adorable lighting. 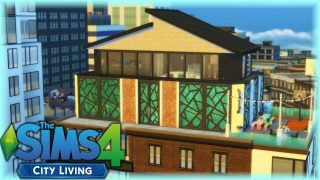 So there’s just a few of the amazing builds we've seen so far for Apartments and Penthouses, hopefully they've got you feeling creative and inspired! Have you already been building a lot in City Living? Share your build videos & Gallery links with us on Twitter & Facebook!